Romance author Linda Nightingale is here today to talk about writing, and her new novel, Love for Sale. During her virtual book tour, Linda will be awarding a sterling silver and genuine turquoise earrings valued at $45 as well as author-signed swag (US/Canada ONLY, an international winner will receive a choice of one digital book of Linda's) to a lucky, randomly drawn winner. To be entered for a chance to win, use the form below. To increase your chances of winning, feel free to visit her other tour stops and enter there, too! Something of a gypsy (actually nothing quite so romantic!) born in South Carolina, Linda has lived in England, Canada, Miami, Ft. Lauderdale, Atlanta, and Houston. She’s seen a lot of this country from the windshield of a truck pulling a horse trailer, having bred, trained and showed Andalusian horses for many years. 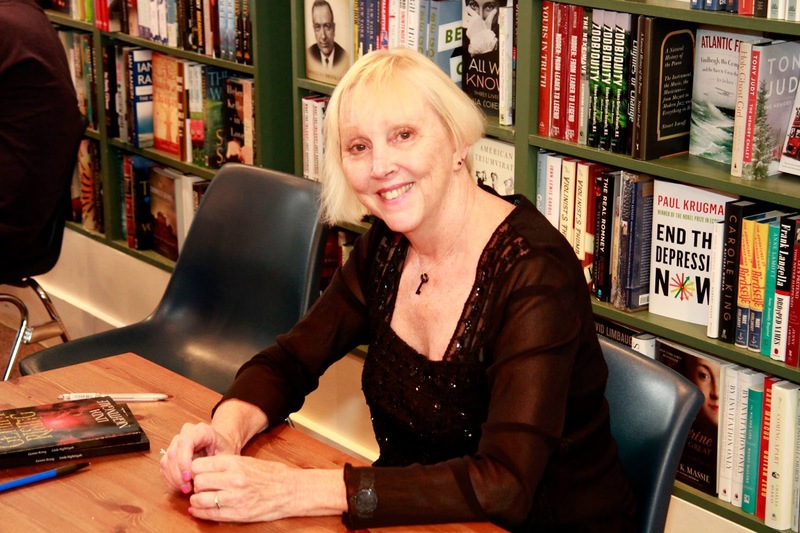 Linda has won several writing awards, including the Georgia Romance Writers Magnolia Award. She is the mother of two wonderful sons, a retired legal assistant, member of the Houston Symphony League and enjoys events with her car club. Among her favorite things are her snazzy black convertible and her parlor grand piano. She loves to dress up and host formal dinner parties. Welcome, Linda. Please tell us a little bit about this book. Love for Sale is a sci-fi romance that began as a short story. The short story won its category in the Houston Writers Guild contest. Then languished in my computer for years before an author friend encouraged me to make it into a book. I begin any book with one character—typically the hero. He starts the story then other characters enter to tell their tale. I am definitely a punster. “Inane? I find you with another woman in the bedroom, and this conversation is silly? Oh, no, Christian. Did you invite her here?” Why couldn’t she stop hurting herself and let him go, lock the door and email Mayfair for a courier pickup? “Why can’t you trust me?” His sad expression pierced her heart. Nearly human. Though he didn’t have a heart, his emotions could be damaged. Looking stricken, he stood silent and straight, a bare-chested god with ice blue eyes. My next book is way out of my paranormal realm. But I raised, trained and showed Andalusian horses for many years. I LOVE horses. Gambler’s Choice is about the equestrian set. A wealthy socialite goes to England in search of the perfect horse. Instead she meets the perfect man—a baron with the manor house, the title, but not the money. He is darkly handsome and mysterious, but danger surrounds him. Could Becca lose her heart as well as her life? Available soon from The Wild Rose Press. When my first book was published in 2012. Because of its controversial nature, I never expected Gemini Rising to be published. I retired from a career as a Legal Assistant in February last year to write full-time. I write in the mornings, generally, or late at night. I’m now a Content Strategist for an advertising agency, working contract, part-time. I write by the seat of my pants. I like to drink Pellegrino while I’m writing. A writer. Or a brain surgeon. Maybe a rocket scientist. Hum. Maybe a street cleaner or garbage collector. Well, perhaps, a wife and mother—achieved that!!! Hum. There are so many choices. A race car driver. I love them. Like all authors, readers are paramount. My dearest wish is to transport them, immerse them, in the worlds of my imagination. I’d like for them to love the characters chattering in my head. Am I schizophrenic? No, just a writer.